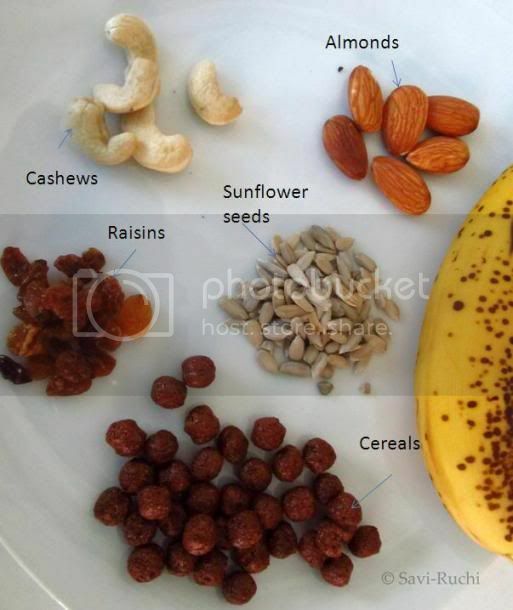 This breakfast idea is for my friends who ask me what I prepare in the mornings. My weekday mornings are usually hectic as I need to prepare for my hubby's lunch and my son's snack boxes. So, we normally have simple breakfast. 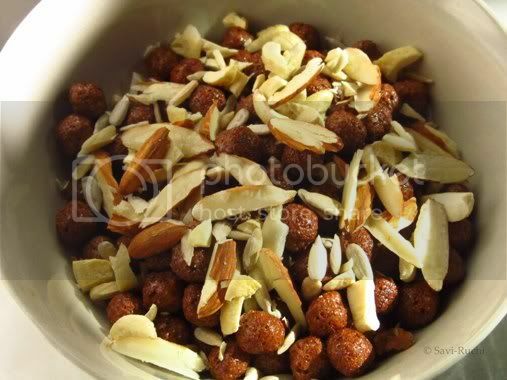 This is one such breakfast filled with nuts & fruits! This dish doesn't involve any cooking !! I take around 1/2 cup of cereals(I normally use chock 'n' roll cereal, Fairprice brand, because my son loves them). Coarsely chop the nuts I have (like walnuts, almonds, cashews & raisins). I take around 3/4th tbsp of chopped nuts. Add it to the cereals. I also add around a tsp of sunflower or pumpkin seeds. I stop here for my hubby & he eats the cereals with nuts. 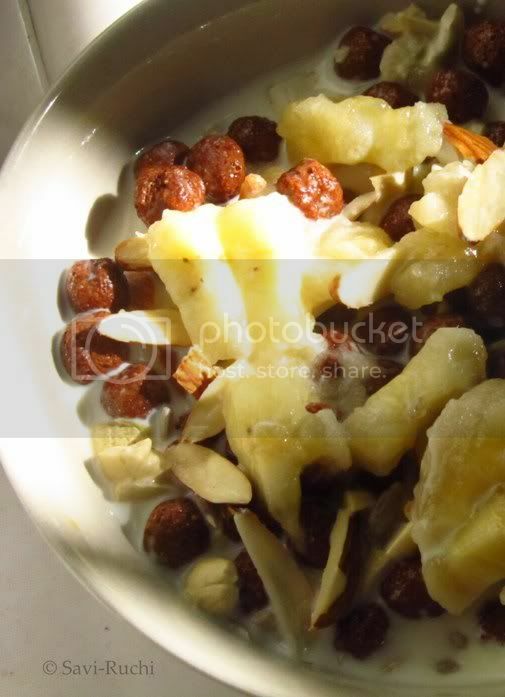 For me, I add 3 tbsp of finely chopped banana or apple or papaya to the cereals & nuts. I finally pour little cold milk over it & dig in! Try it and let me know whether you liked the taste !! I am back with a tambuli recipe. A very unique & mild flavored tambuli that cools your body. Heat oil in a small pan. When oil is hot, add cumin seeds. 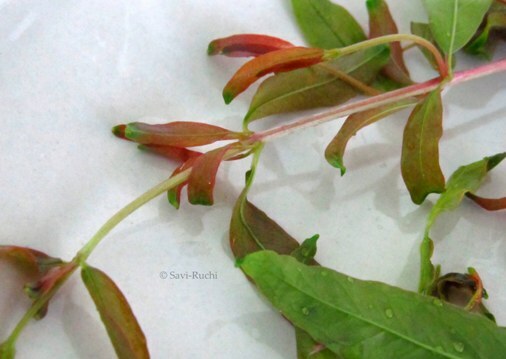 When cumin seeds turn golden brown, add green chilies & pomegranate leaves & saute till the leaves turn crisp. Turn off the heat. Add the grated coconut & allow the mixture to cool. Grind it to a very smooth paste by adding buttermilk. Scoop out the mixture. Add the remaining buttermilk, salt & mix well. If you need, you could prepare the tempering & pour over the tambuli. I normally do not add tempering. 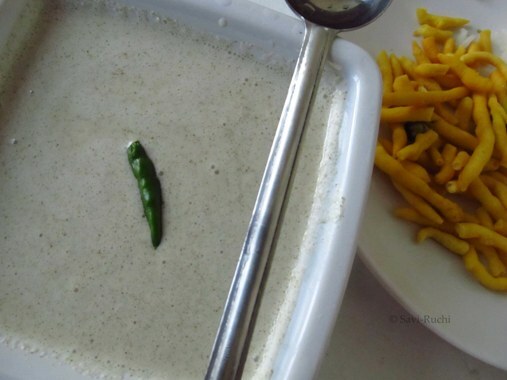 Here is an Andhra dal/pappu recipe. I tried this from amma cheppindi blog. Made very few changes to the original one. The highlight of this pappu/dal is the addition of rasam powder to the dal!! Here goes my version of the same. 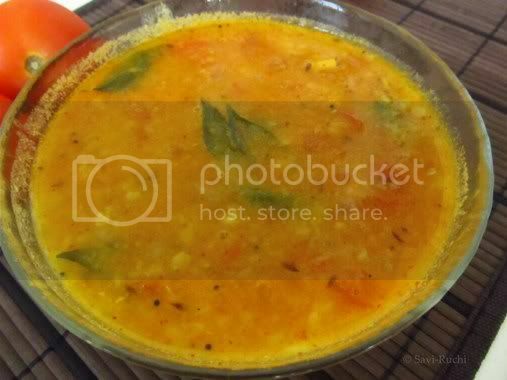 Wash the toor dal thoroughly & add water, turmeric & asafoetida to it. Cook the toor dal in a pressure cooker for 3-4 whistles. Allow it to cool. Meantime, heat oil in a broad pan. Add mustard & cumin seeds. When seeds splutter, add curry leaves, red chili & garlic. Saute till the garlic turns golden brown. Add the tomatoes. 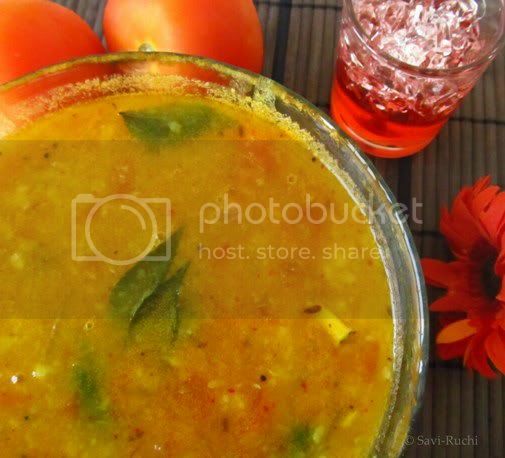 Mix in the rasam powder, red chili powder & cook the tomatoes till they are soft. Mash the dal/lentils gently with the back of a spatula or a masher. Add the mashed lentil to the tomatoes. Add the salt & 1/2 cup of water (adjust accordingly). Allow the dal to boil. Once the dal starts boiling, turn off the heat. 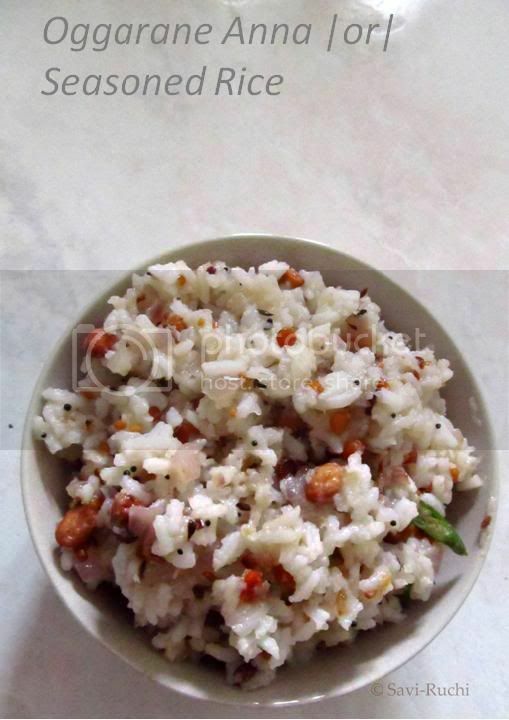 Garnish it with coriander leaves & serve them hot with rice. 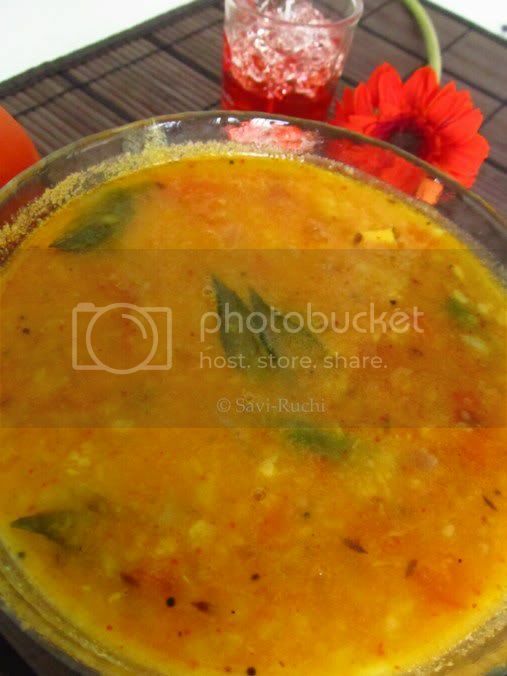 The highlight of this dal is the usage of rasam powder. Hence, do not try to skip it. For a tangier dal, add 1-2 tsp of lemon juice at the end. One more wonderful recipe from my aunt's treasure. Each time I visit her or talk to her, I enlighten myself with more & more interesting dishes. The standard idli recipe uses urad dal/deseeded black lentils, however the horse gram idli uses huruli kaalu/horse gram in place of urad dal. The idlis turn unusually soft & fluffy. 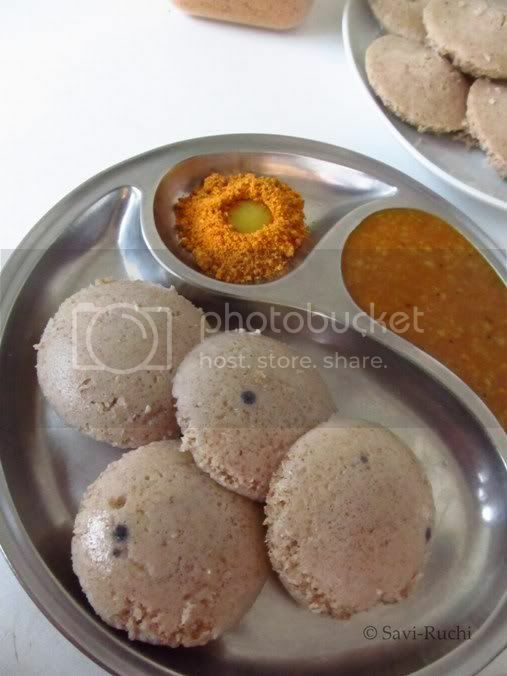 The color of the idli is light brown(unlike the normal idlis) because of the horse gram. 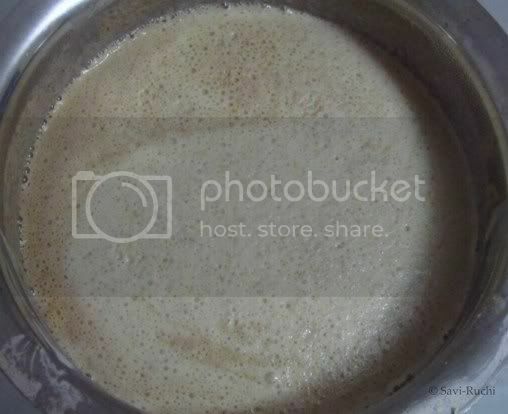 * If you are using wet grinder, use 4 cups of idly rice for 1 cup of horse gram. Wash the horse gram thoroughly & let them soak for 3-4 hours. Wash the rice & let it soak for 5-6 hours. Drain the water from the soaked horse gram & add them to the food processor jar. 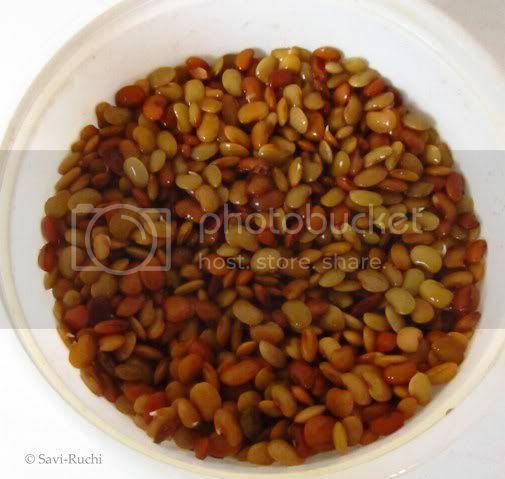 Add 2-3 tbsp of ice cold water to the horse gram & pulse for few seconds. Add few tablespoons of ice cold water to the very coarsely done lentils & pulse again. Repeat the whole process of adding ice cold water & pulsing for at-least 5-6 times. The horse gram paste must be very smooth, light & frothy. 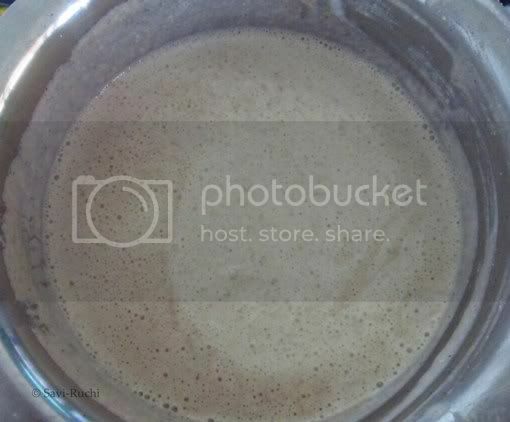 Scoop the horse gram batter to a large vessel. 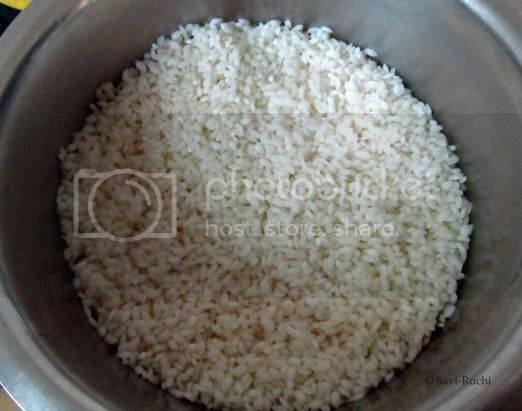 Drain the water from the soaked rice & make a smooth paste out of it. 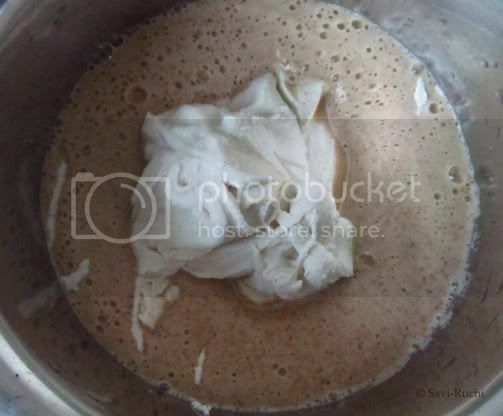 Do not add more water while making the rice paste. Add the rice paste to the horse gram paste. Allow it to ferment for 8-12 hours, depending on the outside temperature. After proper fermentation, the batter would have raised. 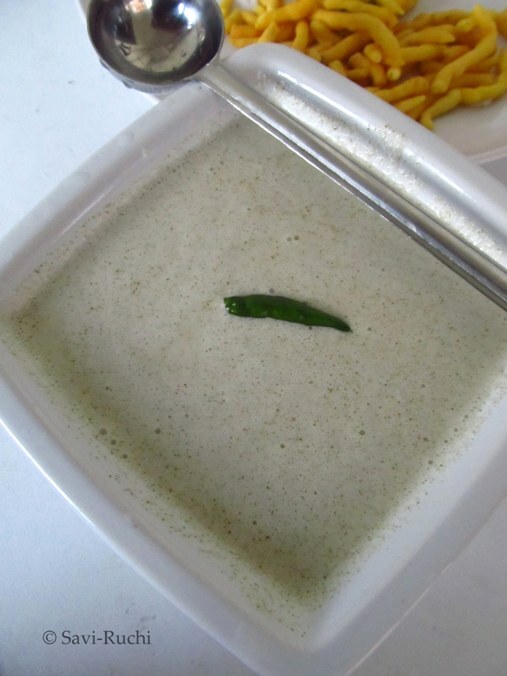 This recipe is very similar to the normal idli. 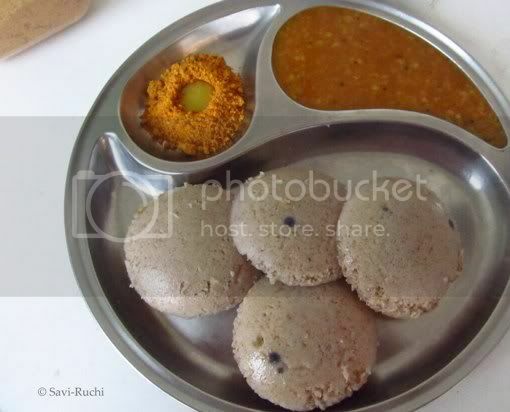 Replace urad dal with horse gram & you could make healthy idlis. 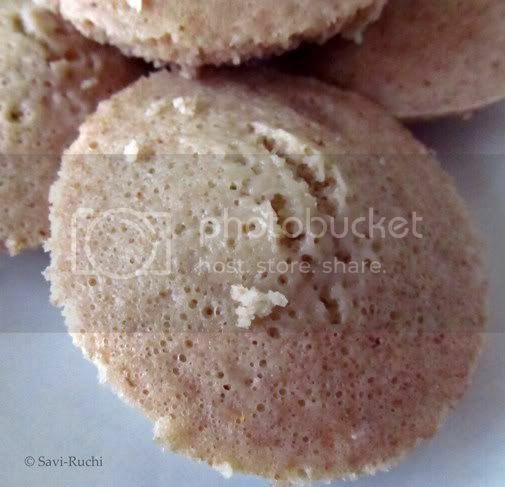 If you need more tips on making idli, refer my earlier post on Idlis. Back at home, left over rice is a rare thing to happen. Moms, aunts prepare exactly the needed amount of rice for the family. Even now at my mom's & in-laws place, keeping the rice in the fridge is considered sin! 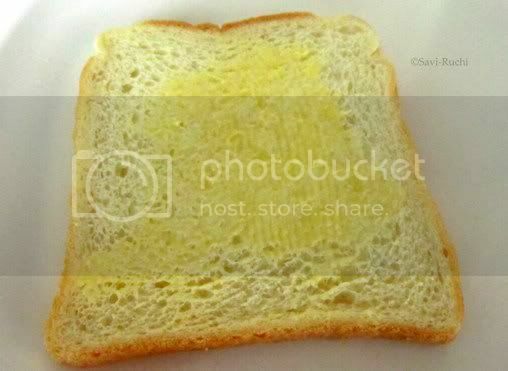 How can somebody eat stale food is what my mom & mom-in-law would always say. However accidents did happen then & happen even now. Once in a blue moon when some cooked rice had to be carried for the next day, my mom made this anna oggarane. This would be her breakfast. She would not give the left over rice to her children or her husband. She used to cook normal breakfast for all of us & secretly prepare this for herself. Over the years, we have seen her eating this oggarane anna once a while & we started demanding a portion of it. It is so delicious that you can never say "NO" to it. 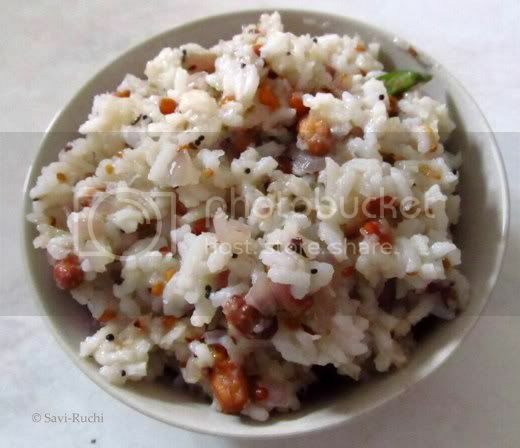 This simple seasoned rice is sure to woo your taste buds. I'm sure that this anna oggarane tradition is followed for many generations & I am doing my bit to continue it.Now my son loves to eat this anna oggarane whenever I make it. Each & every household has its own anna oggarane recipe. I'm posting my mom's version today. Will come back again for my mom-in-law's recipe some other day! Break the lumps in the rice & keep them aside. Heat oil in a broad pan. When oil is hot, add mustard & cumin seeds. When seeds begin to crackle add the dals & peanuts. Cook until the dals turn golden brown & peanuts begin to crackle. Add the green chili, curry leaves & chopped onion. Cook till the onion become translucent. Do not brown the onion. Add the rice, salt & sugar. Mix well & turn off the heat. 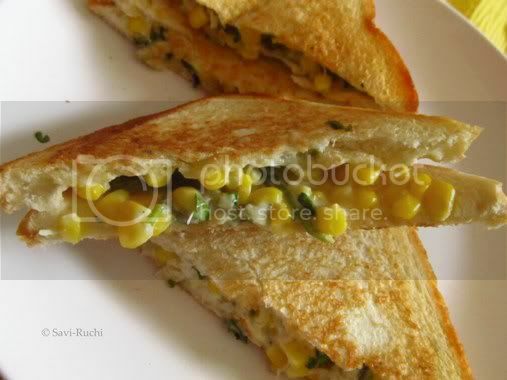 Serve it warm with a pickle or papad of your choice. 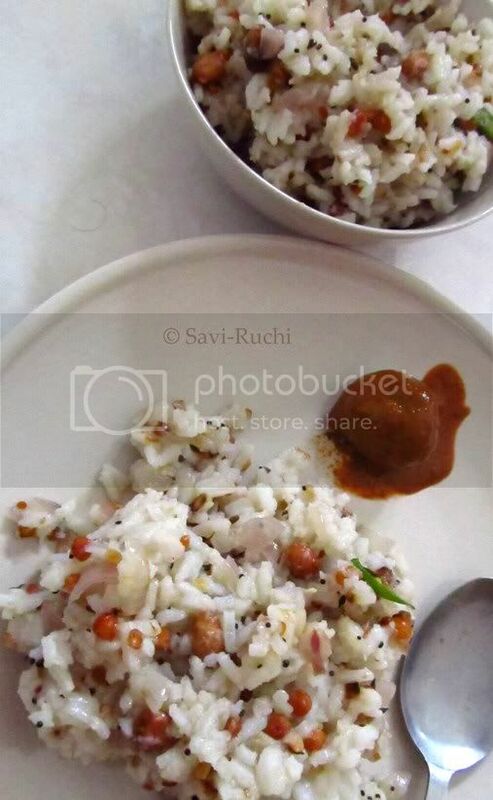 Unlike the normal pulao or bath dishes, this dish do not call for rice grains separated & fluffy. A little mushy rice makes this dish more tasty! You could add grated carrots, finely chopped capsicum too. Garnishing with coriander leaves will give a nice aroma to this dish. I do not add grated coconut or lemon juice to this dish as I feel they over power the seasoning. Another quick breakfast or a evening snack recipe. You could make it for your dinner too! * Jalapeño peppers could be replaced with capsicum. 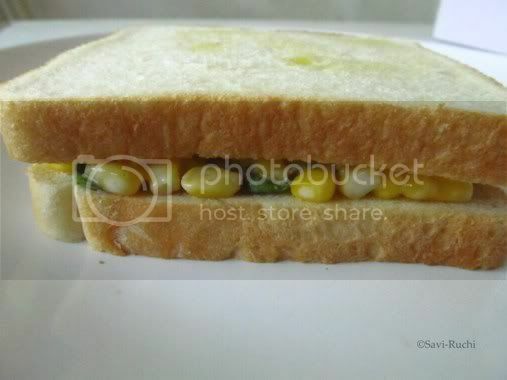 If you want the sandwich spicy, add finely chopped green chili + capsicum to it. ** The mayonnaise I use has garlic in it. 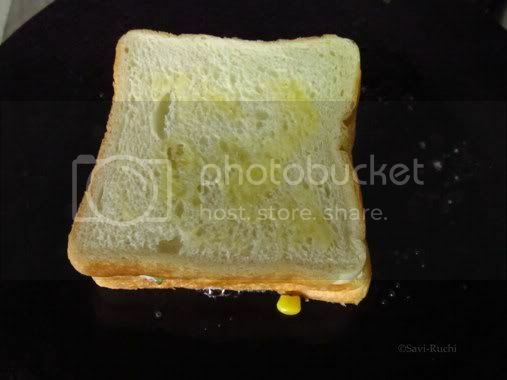 If you have plain mayo without garlic, add a pod of minced garlic to it or just use plain mayo. 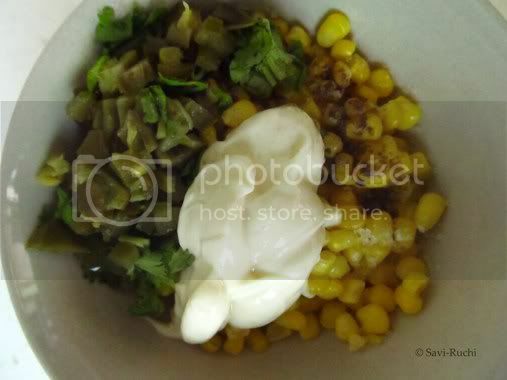 Boil the sweet corn & drain the water.Allow the corn to cool. Add the mayo, salt, jalapeño peppers, coriander leaves, pepper & mix them well. 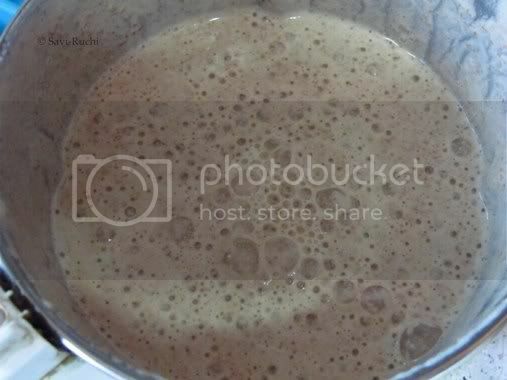 Keep the mixture in the fridge for 10-15mins. 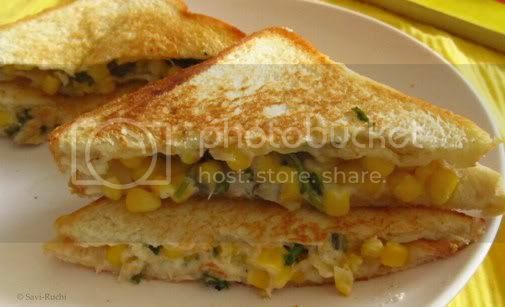 Scoop out a tablespoon of the corn mixture & spread the corn mixture over the bread evenly. 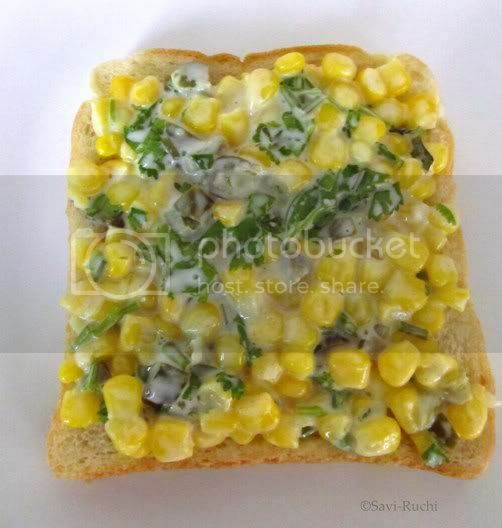 Cover the corn mixture with another bread. 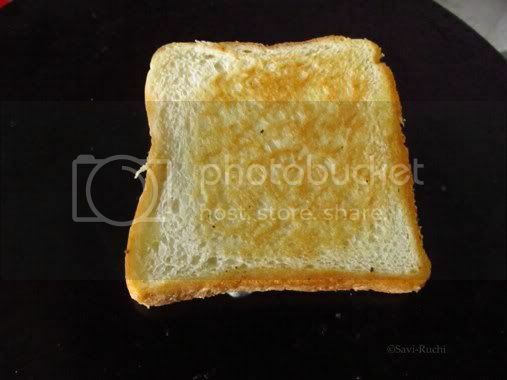 Toast both the sides of the sandwich on a low heat over a griddle/tava/pan, toaster or griller. Cut them into 2 & serve them hot with a dip of your choice. Mayo or mayonnaise is easily available in most of the supermarkets in India. I use eggless mayo. The measurement mentioned above is just a reference. You could alter it according to your preference. 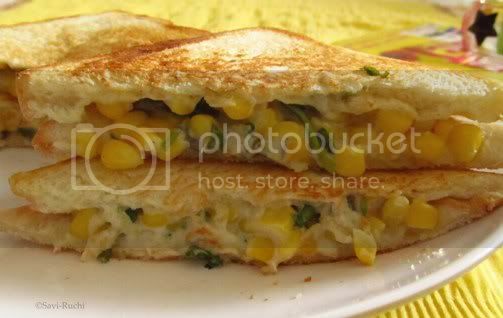 Other vegetables like mashed potato, chopped tomato, shredded cauliflower, grated paneer/Indian cottage cheese could also be added to this.